When it comes to fly design, I always ask, “What do I want the fly to do?” With the Deep Threat, the answers came easy. I wanted a fly that would sink quickly. 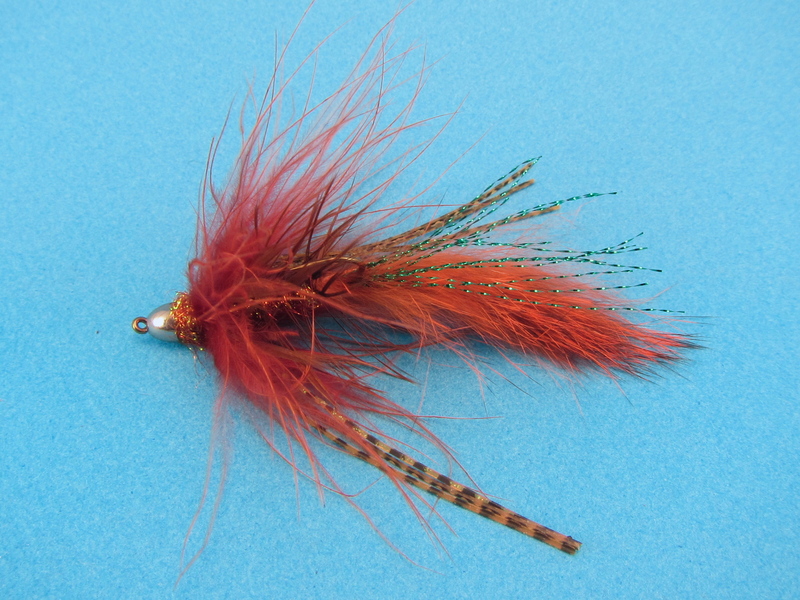 I wanted a fly that was highly impressionistic (Sculpin? Salamander? Frog?). I wanted a fly that would create the illusion of life, even if it were at rest. A fly rendered in natural earth tones. Most of all, I wanted a fly I could fish along the bottom, hook point up, in the cold winter waters of the Farmington River. And here it is. The Deep Threat draws from many patterns. You can see little bits of Woolly Bugger, Zonker, Peanut Envy, and Alaskabou in its lineage. 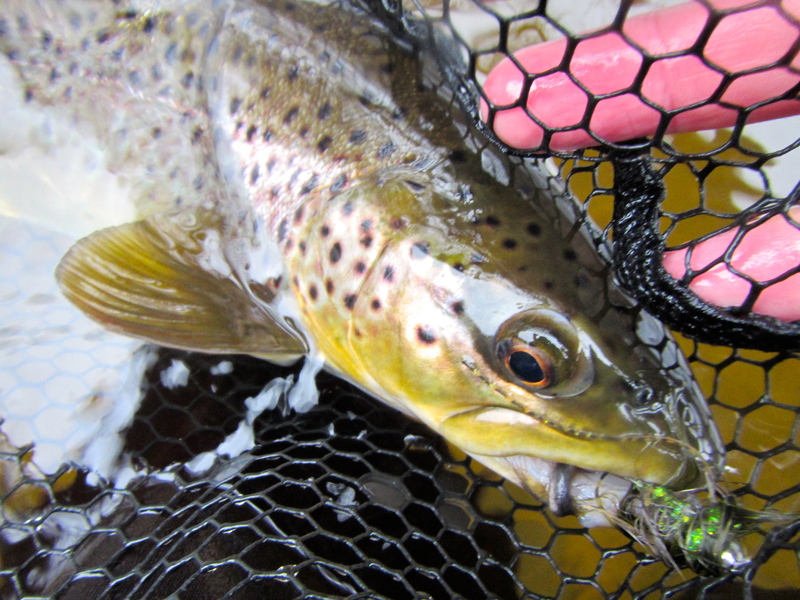 Its core of natural materials will whisper to the trout, “I’m alive.” There’s a calculated minimal use of flash and sparkle; enough to get a brown’s attention without overwhelming the pattern. I’ve been testing the Deep Threat for months, and I’ve been able to get to the bottom of some very deep pools on the Farmington using a full sink tip line and some mends. The fly is officially trout-approved. Fish it, like I do, with confidence. Here’s another version of the Deep Threat that uses browns and oranges. Tying notes: Since the fly rides hook point up, be sure to invert the tail. Total length of the fly is just over 3″. I don’t use a dubbing loop for the Ice Dub. The schlappen is palmered for 6-7 wraps. Pull the Crazy Legs off in a group of three, and leave the ends connected until the fly is complete. 3-4 wraps of marabou are all you need; you’re just creating a veil around the body. Seventeen-inch brown, Farmington River 3/10/15. 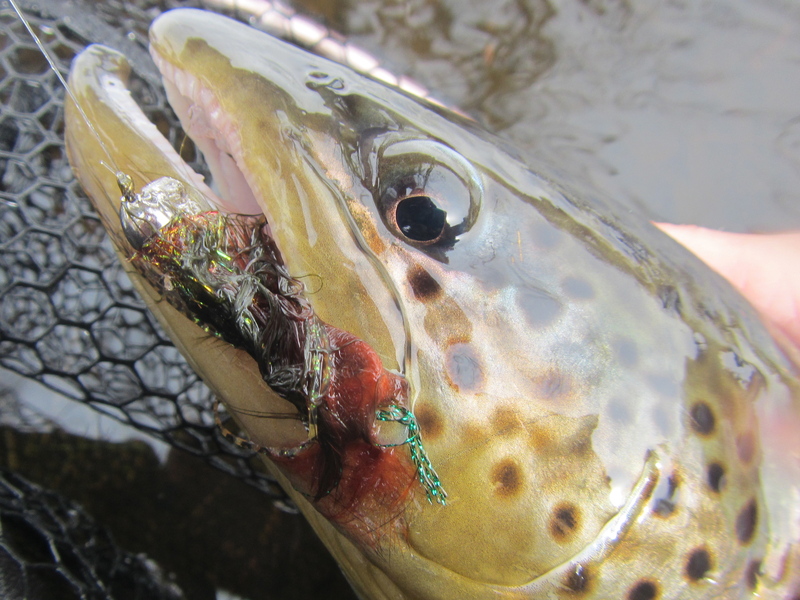 This entry was posted in Streamers and tagged cone head streamer, Deep Threat trout streamer, Farmington River, fly fishing, fly tying, Steve Culton, streamers for winter trout. Steve: Love your Deep Threat. Am starting to make some immediately. I think it has very broad applications. “Move over Wooly Bugger, there’s a new sheriff in town!” Thanks for posting it. Nice! The brown and orange one looks like a great fall patter, and I’m sure both would take some nice smallmouth bass. Oh, heck yeah. I’d be included to try it with a brass cone for smallies, too. These look like great flies and I am going to tie some up! But I had a question about the fly. The recipes you listed call for large black tungsten cones, but the cones in the picture appear to be silver. Is there some sort of photographic effect that makes them appear silver when in reality they are black, or is there a typo in the recipe? Thanks for posting this recipe! No typo. What many manufacturers are calling black is more what I’d call “gunmetal grey.” Whatever color the cone head truly is, the trout seem to like it. And I’m glad you do, too. Steve, superb patterns! Bit of a Bugger on steroids sort of thing! I like them! I’m betting a black & blue version would entice some Smallmouths as well! Man, I love tying anything with rabbit strips! Umm reminds me of a Barr Meatwhistle except not on a jig hook. 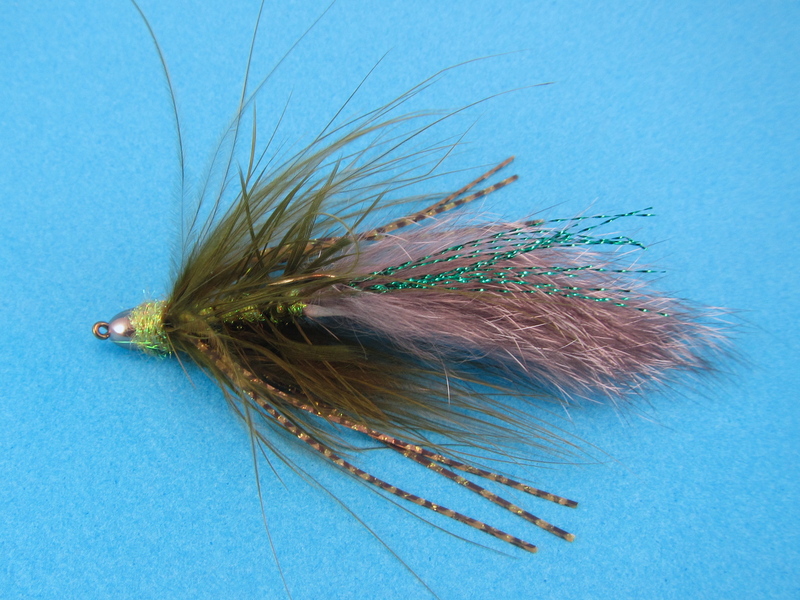 Have to try tying some this week – your version + some on a jig hook with brass dumbell eyes as well. Looking forward to seeing you at Compleat Angler on 2/11. I’ll be tying the Deep Threat at CA. That would be great Steve – looking forward to it.